With Snapchat’s Partner Summit happening last week, there are a lot of updates that are relevant to those in the digital marketing industry. Last week, we covered Snapchat’s introduction of gaming to the platform - but since then, there have been additional announcements that have gotten people talking. One of the biggest was about the new Snap Kits features. Snap Kits are a new Snapchat offering that allow developers to integrate the best parts of Snapchat with their own apps. Previously, these worked by allowing users to share information from their apps with Snapchat, but at the Summit, the platform announced a major change to that model. 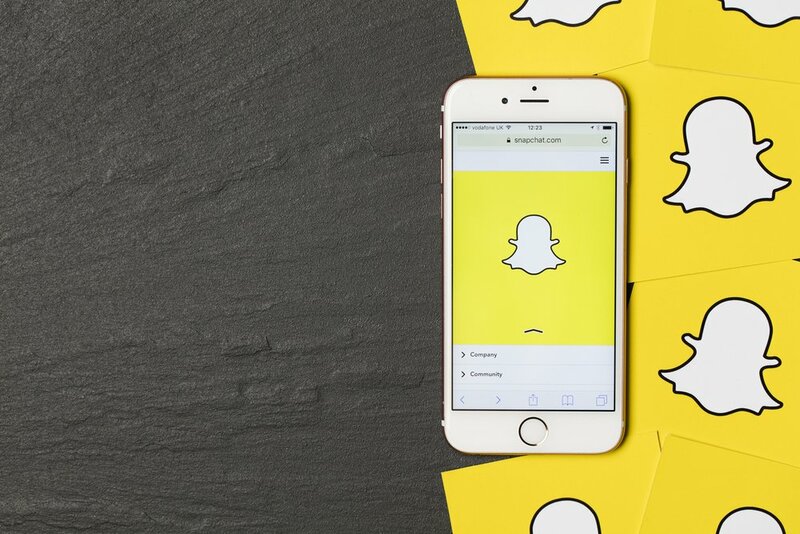 Now, users can actually embed specific Snapchat features onto their own app. Specifically, this applies to Stories and ads, but it’s interesting to see where this might go in the long term. Why Is Snapchat Doing This? Many might wonder, why would you take some of your own platform’s unique features and give them away to other apps? Well, there are two reasons for this move by Snapchat. One, this allows Snapchat to scale its growth without needing to add new users by providing an opportunity to diversify their revenue. Second, a lot of these apps were copying Snapchat anyway - so why not beat them to it? 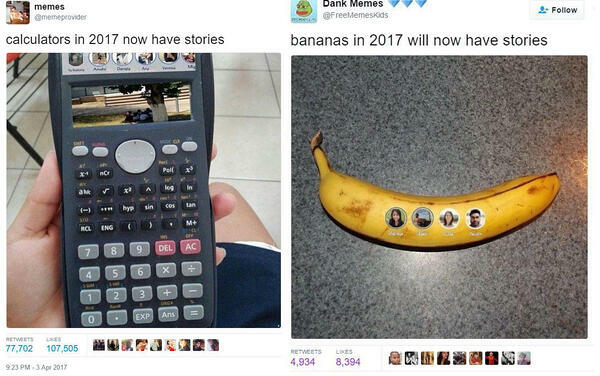 Ever since Snapchat launched the “Stories” feature in October 2013, a number of other platforms have started copying this model. It’s funny mainly because it is so true. Instagram, Facebook, and even LinkedIn had their own version of the 24-hour glimpse into users’ lives. With Snapchat’s user base declining, it seemed all of these other platforms were benefiting from an idea that was originally theirs. So, they decided to get ahead of the game by launching App Stories, which will soon be included in their Story Kit. This feature is great for both Snapchat and other app developers, because it allows Snapchat to reap the benefits of their most sought after features, and saves developers time while also giving them the best-in-class tools to introduce this feature to their apps. Snapchat’s strong privacy record also makes it appealing to partner with - so even if Facebook were to copy this idea, it likely wouldn’t be as attractive to potential partners. Essentially, App Stories allow users to share their Stories recorded on Snapchat out to other apps. This is similar to Instagram, which gives you the ability to cross-post pictures to Facebook simultaneously. Users can choose these options when they’re sending out a Snapchat within the app. Connected apps will appear under the “Stories” tab. Developers can choose to display stories in their standard carousel layout as they appear on Snapchat, or customize their appearance. As stated, this helps developers implement these in-demand features within their own apps - but also helps users have one cohesive Story across multiple platforms. It also increases the likelihood that the “Stories” feature will be used in these new apps. 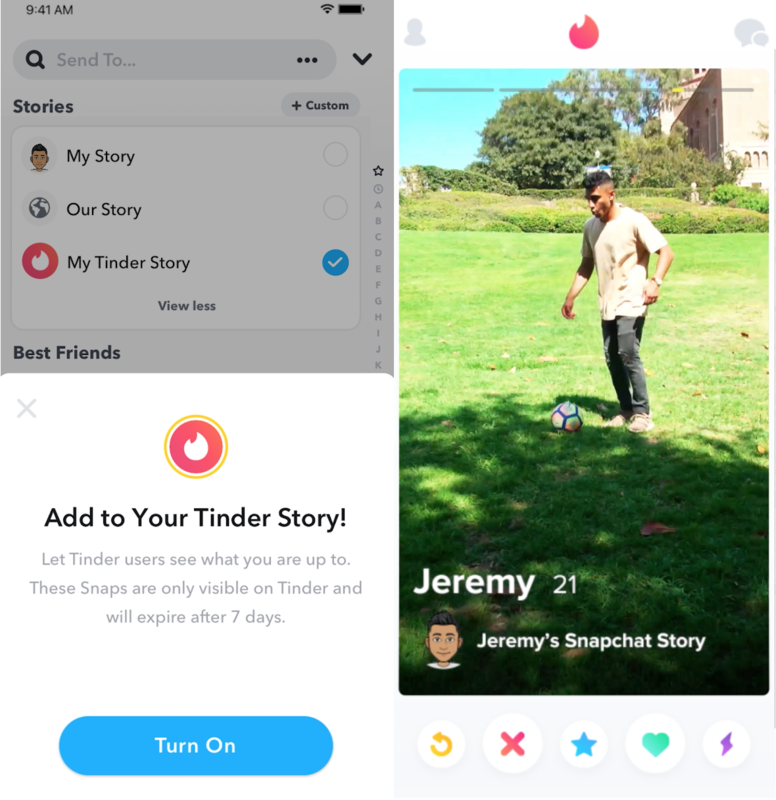 If a user can post directly from Snapchat, where they’re already hanging out, the feature has a much higher engagement potential than if it was its own standalone story feature. For now, Snapchat isn’t putting ads in the App Stories, but it wouldn’t be surprising if that feature was added down the line. In addition to App Stories, Snapchat has also added Ad Kit, an additional feature that makes it easier to partner with the platform than to copy it. Ad Kit utilizes Snap Audience Network to allow partnering apps to host Snapchat’s full-screen, vertical style video ads on their own platforms. For advertisers, this won’t require a new ad auction or bidding format on Snapchat’s side. As far as we know now, there will just be an option for advertisers to select if they want to display ads to only Snapchat users, or both Snapchat and non-Snapchat users. Developers of partnering apps will get a share of the revenue from these ads, but Snapchat hasn’t disclosed how much. Just like App Stories, this offers a high-quality product to other apps as an alternative to the risk of building it themselves. It’s time-saving, well-tested, and is also backed by Snapchat’s strong reputation of data privacy. Snapchat’s addition of these features is certainly a game-changer - and it might be just what they need to keep them in the game. Instead of sitting idly by and watching competitors copy their products, they decided to step in and offer a solution that is mutually beneficial to both parties. This is a great example of remaining agile in your approach and diversifying your business model as times change. It will be interesting to see how this pans out over time, and if this can help Snapchat grow its declining user base and boost revenue from other sources.